You are here: Home / Car Accident / Who Is at-Fault in a T-Bone Collision? T-Bone collisions are responsible for at least 8,000 fatalities each year. A large portion of car accidents take place at an intersection and can involve ignoring traffic signals, speeding, or distraction. 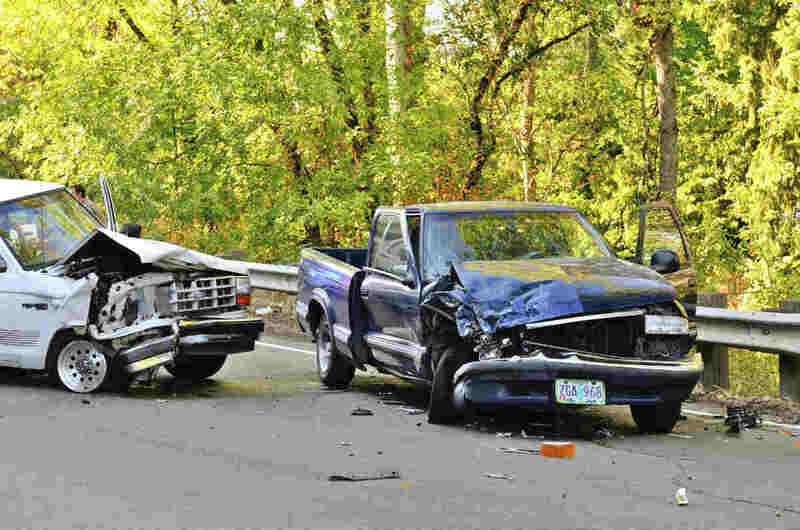 Sometimes the collision is broadside, or more commonly known as a T-Bone car accident. One car is hit at a perpendicular angle and the force of the collision can push the car and cause a secondary crash. Injuries from these types of collisions are often severe as there is very little buffer but the door. The types of injury caused by this type of collision are often severe and may require expensive medical treatment. Broadside collisions are responsible for at least 8,000 fatalities each year. Without the protection of the bumper and engine in a head-on crash or the bumper and trunk in a rear-end collision, drivers and their passengers are susceptible to grave injuries. It is not uncommon to see skull fractures and brain injuries in these types of accidents as well as bone fractures, chest injury and neck injury. Although it may seem very obvious who is at fault in a T-Bone collision, assigning liability is not necessarily easy. Being the driver of the car that crashed does not automatically make you the at-fault driver. The other driver may have blown a red light or been speeding. If possible try and get the contact information of any witnesses and take pictures of the scene. Police reports are not always accurate, it may be up to your car accident attorney to determine fault by a re-enactment of the scene. The defense in a broadside collision is often a comparative liability, where they claim that the plaintiff also showed some degree of negligence that contributed to the accident. Since the events leading up to it are often based solely on witness accounts and he said/she said arguments between the parties a jury may easily conclude partial negligence on the side of the plaintiff and assign a percentage to the amount of fault that they deem is theirs. Do not let that deter you from filing a claim if you are injured. Losing a small portion of an award is better than not being compensated at all. In a T-Bone accident involving an SUV, the size of the utility vehicle can cause a passenger car to spin out of control. This happened to a Missouri man who was injured in a broadside collision when he was hit by a large SUV. The defense chose to settle the claim for $500,000 after hearing evidence of just how great the force of the impact was. It would have been difficult for them to convince a jury of partial liability after seeing pictures of the damaged vehicle. Every collision has its unique set of circumstances that need to be examined closely. If you have been involved in a T-Bone collision, it can benefit you greatly to seek the help of a St. Louis car accident lawyer. The Hoffmann Law Firm can put over 20 years of experience to work for you by helping you determine the best way to proceed with your case.